Demolition of a building means tearing down or falling down of a building with the help of equipments or explosives. This seminar report deals with how a demolition work is to be performed safely and also elaborates different steps involved before and during the execution of a demolition process. The various steps involved before the demolition process includes surveying, removal of hazardous materials, preparation of demolition plan, stability report and the precautionary safety measures to be taken. 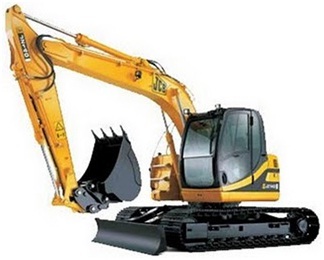 The main equipments used for these demolition activities are sledge hammer, excavators, bulldozers, wrecking balls etc. and main explosives used are dynamites and RDX. When explosive are used for the demolition, it is known as Implosion. Demolition workers, including plant or equipment operators, shall go through proper job safety training and be informed of the potential hazards by attending training sessions as well as on-the-job training. 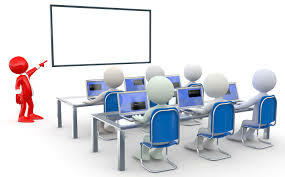 At present, the Construction Industry Training Authority has organized relevant training courses for site supervisors/foremen and plant or equipment operators. All equipment shall be tested and examined before use. They shall be properly stored and maintained. The equipment shall be inspected daily and results of the inspection shall be recorded accordingly. A detailed safety instruction shall be provided to cater for specific situations of the project, if necessary. A properly connected power source from a local electric utility supplier or a mobile electricity generator shall be utilized in demolition sites. The safety requirements given in the Factories and Industrial Undertakings (Electricity) Regulations shall be adhered to. All flammable goods shall be removed from site unless they are necessary for the works involved. Any remaining flammable goods shall be stored in proper storage facilities. All furniture, timber, doors, etc. shall be removed before any welding work is performed. Fire fighting appliances shall be provided and maintained in working conditions. The Construction Site (Safety) Regulations require the contractor to maintain in good condition and free from defects all fire fighting appliances provided in such construction site. (d) The distances from the building to be demolished to its adjacent buildings, streets, structures and significant street furniture. (e) The relationship of the building to be demolished with neighboring properties affected by the demolition, which include all adjoining buildings and unauthorized structures, shared staircases, party walls, truncating continuous frames, slopes, retaining wall, overhead cables, guy wires and underground utility services. A sledge hammer, equipment used for removing a stone wall or a single column. It consists of a long stem with a metallic head. It is used to give impacts on the surfaces and that cause the demolition of structure. It cannot be used for removal of large buildings.